The BBQ, band and entertainment were fantastic to go along with wonderful weather! A fabulous amount of £759 pounds was raised. Thank you to all who attended. 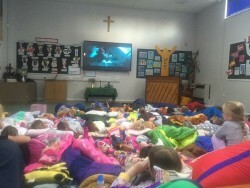 Pupils loved the movie night held in the hall! And parents who had a few hours respite as well seem equall y as pleased! Thank you to everyone who supported this event. 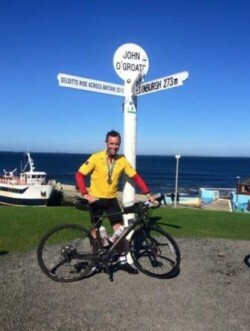 Matthew Hodey (parent of pupils at scho ol) has successfully completed his challenge of cycling the length of Britain! He has raised over £2000 for FOBS. A huge congratulations and thank you on behalf of Baydon St Nicholas!